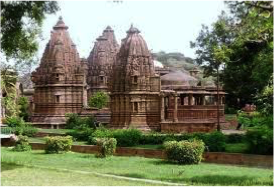 Ramgarh-Bhand Devra temples are situated about 40 km. from Baran. The Shiv Mandir of Ramgarh was built in 10th century on the Khajuraho style. Due to the Maithun Statues, the place is named as Bhand Devra. This temple is situated on the bank of pond and is now under the Archaeological department. This temple is known as Rajasthan’s mini Khajuraho. Keradu Temple might have been constructed before the 6th century at the time of “Parmar” Dynasty. 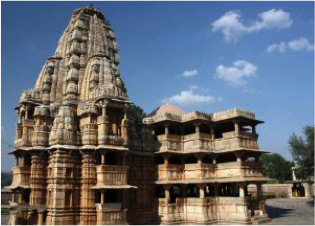 There are five temples in all and most remarkable of them is Someshvara Temple .These temples feature impressive sculpture and a Solanki style of architecture. There are 4-5 Big Temple structure of Golden colour and a Sun Temple. The temple is well entitled as “Khajuraoh of Rajasthan”. 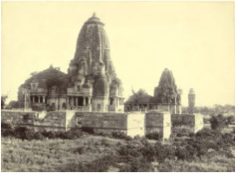 The design of the temple are identicle to the Khajuraoh Temple and Sun Temple at Orrisa. The temple is ruin and with lack of images of God and Goddess. 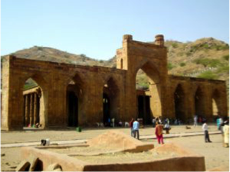 The Keradu was earlier Headquarter of Barmer and it was attacked by Mohammad Gauri in 1140AD who had destroyed the temple structure and its images. 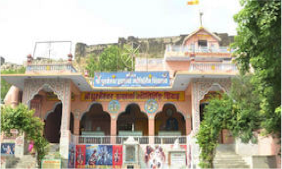 Vankal Mata Temple is situated at the west end of the city on a 675 feet high hill, the ancient citadel of the 16th century ( fortress ), which was called Barmer citadel , whose remains still exist. 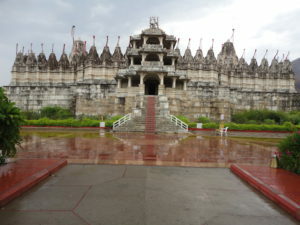 Shri Parshwanath Jain temple was originally a temple of Mahavira. This temple was renovated in the fifteenth century. 120 idols were brought here from Kalidrah and this beautiful and miraculous idol was installed here as Mulnayak (main idol of the temple) in the year 1429 of the Vikram era (1373 AD). It is among the hills in the distant forest at a distance of 13 kilometers from Balotra. 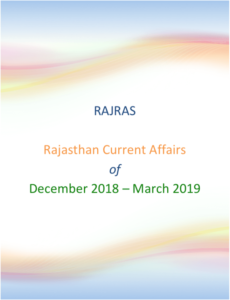 Towards the north of Jodhpur is the ancient capital of Marwar, Mandore. 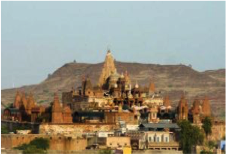 This area is of major historical importance and you will find the dewals or cenotaphs of Jodhpur’s former rulers. Unlike the original chhatri-shaped cenotaphs that are typical patterns of Rajasthan architecture, these are built along the lines of Hindu temples. 65 Kms from Jodhpur, lies ruins of an ancient city called Ossian. 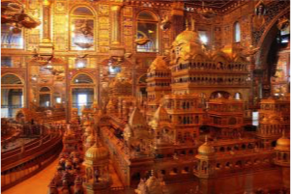 This city is famous for Brahmanical and Jain temples, which belong to 8th and 11th century. The shikhar of Sachiya temple is clustered by two rows of turrets, an ambulatory and a large assembly hall with an elaborate ceiling. This town which was once a great trading centre is an oasis and houses an abundance of peacocks. The largest of the 16 Jain and Brahmanical temples is dedicated to Mahavira. Nathdwara Temple is 17th century temple , located in the Aravalli hills on the banks of the Banas River, which houses the idol of Shrinathji, considered an incarnation of Krishna. The idol was originally worshipped at Jatipura, Mathura and was shifted in the 1672, during reign of Aurangzeb, from Govardhan hill, nearMathura along holy river Yamuna after being retained at Agra for almost six months. 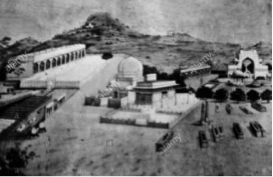 Bhanwar Mata temple was built by King Gori of “Manvaiyani genus” in year 491 AD. 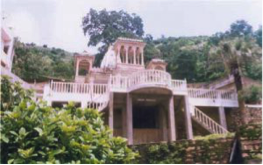 Temple is also known as “Bhanwar Mata Shakti Peeth”. 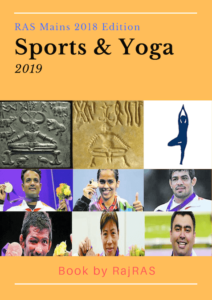 It is located in Chhoti Sadri Teshsil of Pratapgarh district. Enshrined in the Puranas, the Ghushmeshwar Temple is believed to be 12th or the last of the Jyotirlingas of Lord Shiva. Situated at the Siwar village in Sawai Madhopur, this temple has many mythological stories weaved around it. 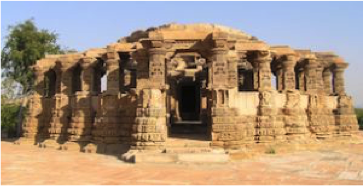 The early medieval Jaina temple, known as Chamatkarji, is situated outside the city and dedicated to lord Adinatha. The temple compound is enclosed by a modern high parapet wall with small cells all round and is entered from the west. The main shrine is situated in the centre of the courtyard and is enclosed by high wall with entrance in the north. The garbhagriha facing east, is pancharatha on plan with circumambulatory passage around. The sikhara is curvilinear. 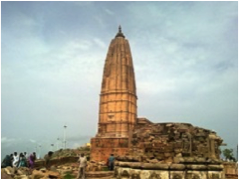 The 10th century, Harshnath temple, belonging is located on the Aravalli Hills near Sikar. It is an ancient site containing remnants of old Shiva Temple of 10th Century . 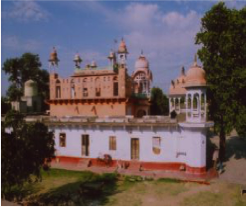 Another Shiva temple, constructed in the 18th century by Shiv Singh of Sikar, is situated near the Harshnath temple. 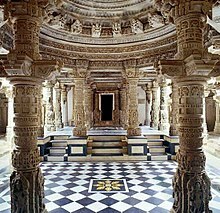 The Dilwara Temples are located in Mount Abu, Rajasthan. These Jain temples were built between the 11th and 13th centuries AD by Vimal Shah and designed by Vastupala-Tejpal, Jain ministers of Dholka. 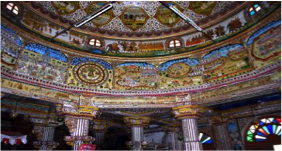 The temple structure are famous for their use of marble and intricate marble carvings.